If you are in the market and searching for your next vehicle, you should pay us a visit. Our helpful sales team and large inventory of used cars for sale makes it easy to find the right one for you and your family in the Goshen, IN area. Whether you are looking for used cars for sale or used trucks for sale, we are ready to guide you through the car buying process. We are also able to help you navigate the auto finance with our bad credit financing. No matter what kind of vehicle you are looking for or if you are unsure about what kind of vehicle you want, we are more than happy to help. We understand how important your time and money are, and we want to get you into the used car of your dreams. Directions to Lucky 7 Car Store Ft. Wayne from Goshen, IN. Directions to Lucky 7 Car Store Mishawaka from Goshen, IN. Directions to Lucky 7 Car Store Warsaw from Goshen, IN. The used cars for sale in the Goshen, IN area, are worth a close look at your used car dealer in Indiana. No matter what kind of vehicle you want, we can get you back on the road with a smile. We have many different bodystyles available, like SUVs, trucks, minivans, coupes, sedans, and many other great used cars for sale. You can browse through our inventory online or come to our dealership, either way works for us. 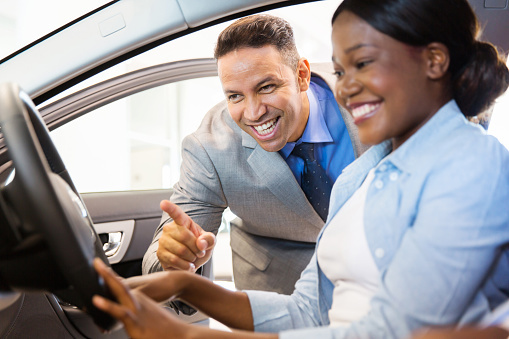 Schedule a test drive in a used car for sale today and drive away in a vehicle that you love at a great price. Your local used car dealer is ready to help the Goshen, IN area get back on the road in a used truck for sale. We have many different types of trucks for sale available so you can get the right one. We even have used diesel trucks for sale when you want a truck that has even more power. No matter what kind of vehicle you are in need of, we will do our best to help you find it at a price you like. Feel free to browse our online inventory or stop in; we are more than happy to answer any questions you may have. As your Goshen, IN used car dealer, we have a large deletion of used SUVs for sale when you need a vehicle that has plenty of room for your family. These used SUVs for sale are a great option because they provide both luxury and comfort no matter where you go. When you need extra space for cargo, our SUVs have it. Make sure to stop in today and let us help you figure out which used SUV for sale will meet your needs a price you love. When you have picked out your next vehicle, in many cases you need to consider your financing options. Our Finance Center is here to help the Goshen, IN area figure out what their options are. As a Buy Here, Pay Here dealer, we are ready to guide you through the financing process and have even provided resources so you can get started before you even leave your house. Even if you have bad credit or no credit, we are ready to help you get back on the road with our bad credit financing options. See what your Buy Here, Pay Here dealer can do for you.